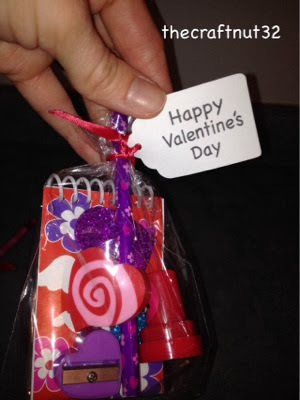 Well this Friday is Valentine's Day and I have been getting some cards done over the last couple of weeks but today I got some little treat bags made for the girls in my church group and some colouring done for another card. I decided to keep the treat bags simple this year but I just love how they turned out!! 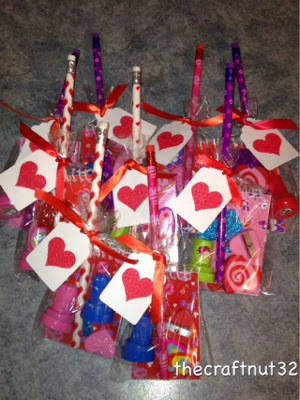 I made 10 of these little treat bags for tonight. 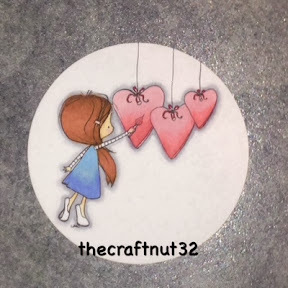 I cut out 10 tags and hearts from my Plantin Schoolbook Cricut cartridge. 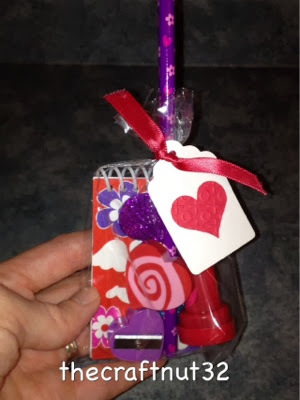 I embossed the heart with my Culltbug folder Hugs and Kisses and then stamped the back with a My Pink Stamper stamp. I downloaded this image from Tiddly Inks and I just love how it turned out. I am hoping that I will have a chance to make a Valentines card with this cutie tomorrow.